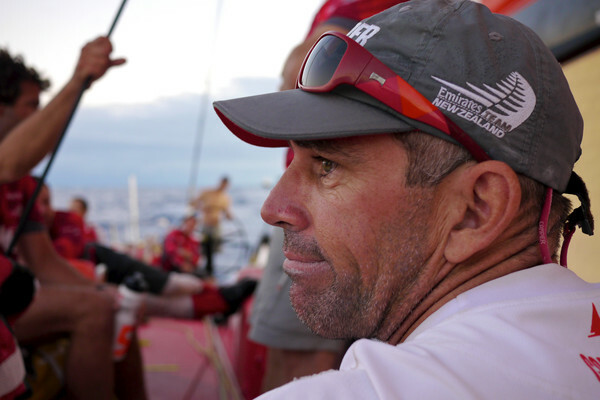 On Saturday at around 13.30 Leg 6 leader PUMA Ocean Racing powered by BERG (Ken Read/USA) passed the Cabo Branco waypoint on the north east tip of Brazil to lead the way north towards the Equator. 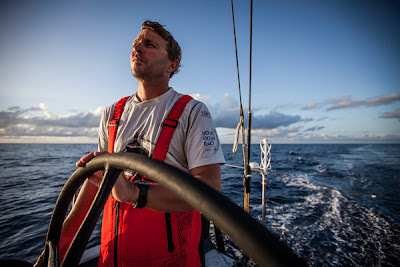 All day, CAMPER with Emirates Team New Zealand (Chris Nicholson/AUS) and Team Telefónica (Iker Martínez/ESP) continued to put on the pressure, but at 0700 GMT today, PUMA still held the lead as the top three stalked each other north towards the Equator, around 200 nautical miles (nm) ahead. PUMA has been fighting to stop the bleeding as first CAMPER and then Telefónica appeared over the horizon. The PUMA crew hit ‘reset’ and began treating their speed in relative terms, using CAMPER’s close proximity as anyone in a two-boat testing programme would. “We’d make a small change here, and another there, and then monitor their vitals on our radar. If results were positive, we’d adjust our ‘base’, and if they showed no improvement, we’d advance to the next variable on the list,” explained PUMA Media Crew Member (MCM) Amory Ross. It was only by the time CAMPER was abeam of the leaders that the PUMA crew were able to match their speed and lessen the losses over the course of the day. CAMPER were enjoying stalking PUMA and were also happy to see Telefónica disappear over the horizon behind them -- for now at least. “As good as it was, you know they will just be lurking back there, set to come powering back when conditions favour them slightly more. There is definitely a feeling of the hunter being hunted,” said CAMPER MCM Hamish Hooper. 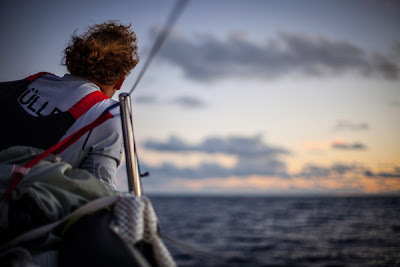 Sure enough, by 0700 GMT today, Telefónica were back in the mix, having taken second place from CAMPER, although Nicholson’s boat was only 1.6 nm behind. PUMA however had stretched out to lead by 13.30 nm. Abu Dhabi Ocean Racing (Ian Walker/GBR) trailed by 54 nm but had clawed back a mile, while Groupama (Franck Cammas/FRA) had lost a further two miles, and were 133 nm in deficit. As the fleet rattles north at speeds up to 18 knots, the race to the Doldrums is about pure boat speed and the tweaking and adjusting looks set to continue as the boats and crews revel in the trade wind conditions for now.